Active Life One-Piece System: This One-Piece Pouch With Stomahesive Skin Barrier Offers Comfort, Quality And Security. Drainable, 12" Transparent Pouch. 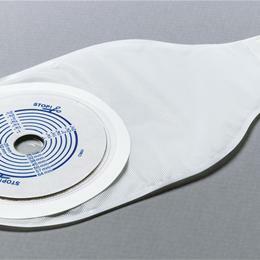 Cut To Fit Barrier For Stoma Sizes 3/4" To 2 1/2". Includes One-Sided Comfort Panel And Tape Collar. One Tail Closure Per Box. One-Piece Pouch And Skin Barrier Cut To Fit: 3/4"-2 1/2".